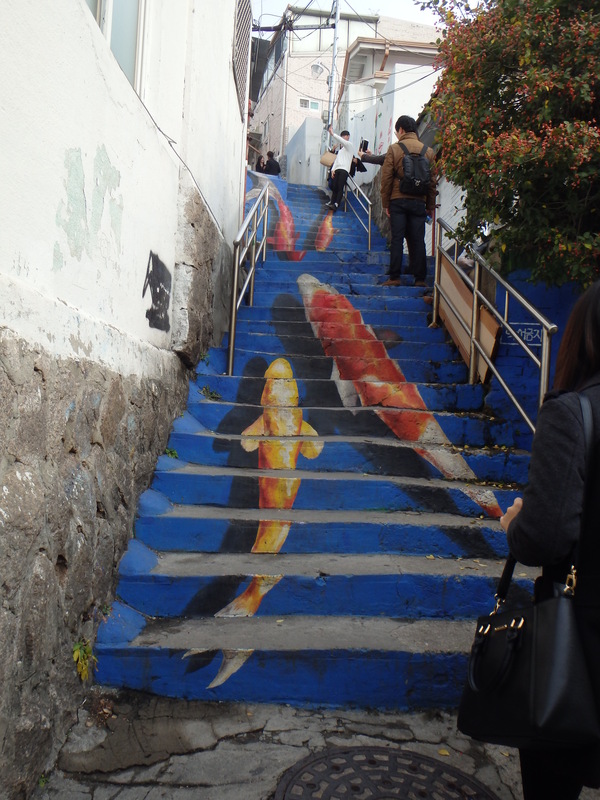 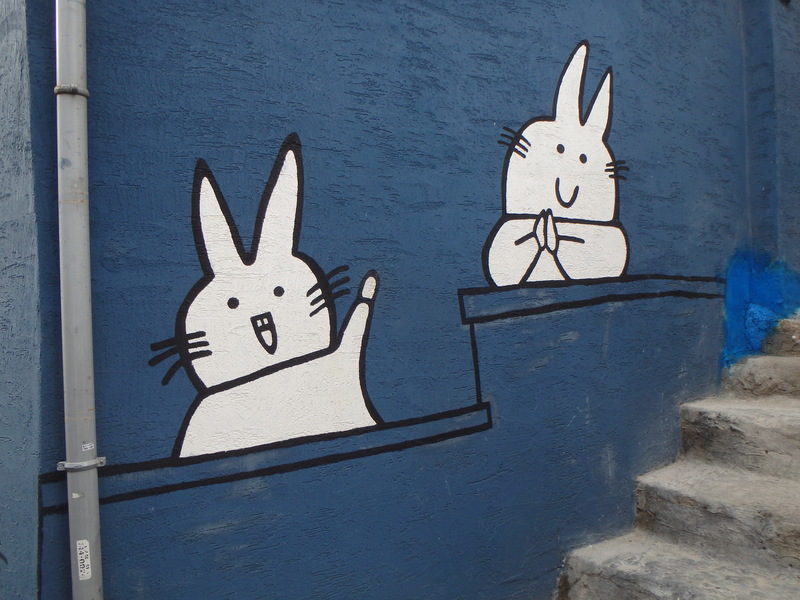 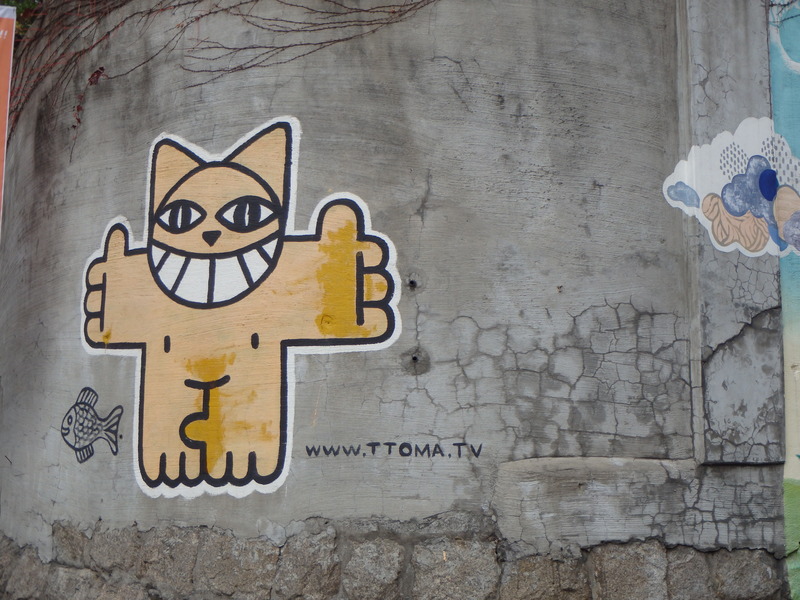 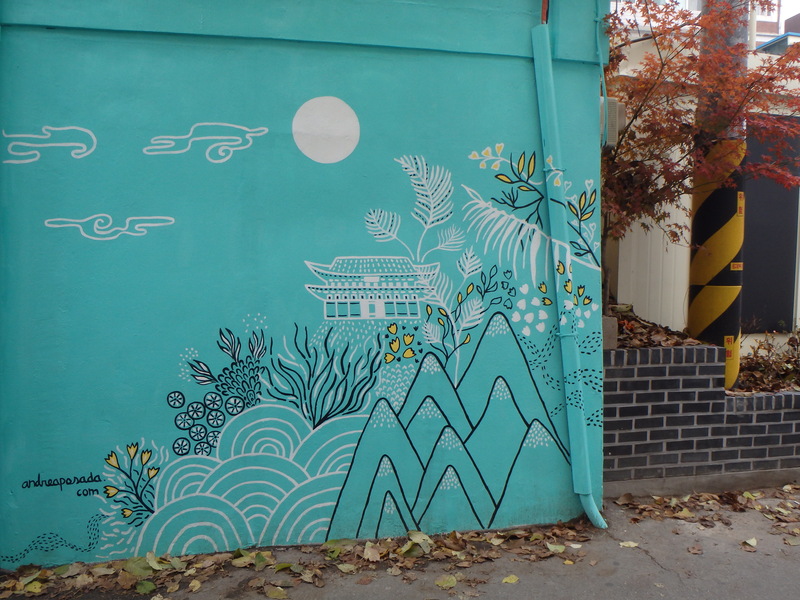 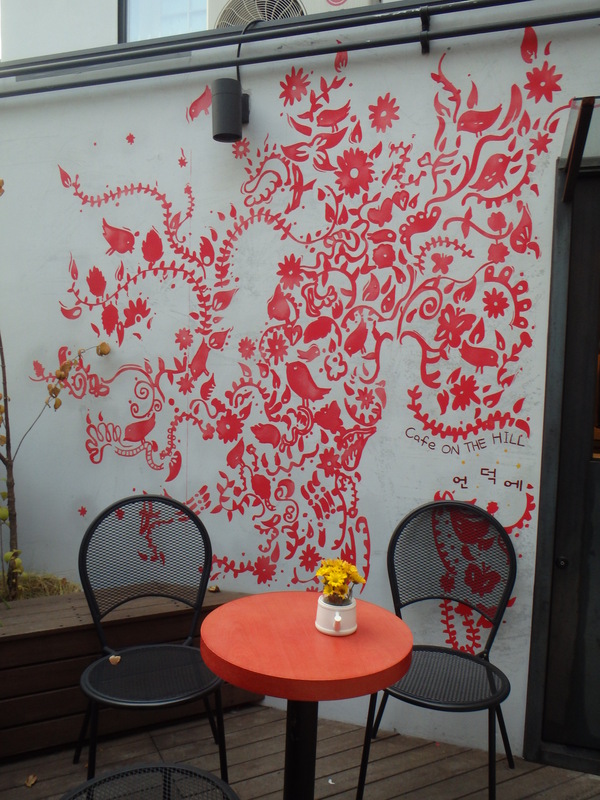 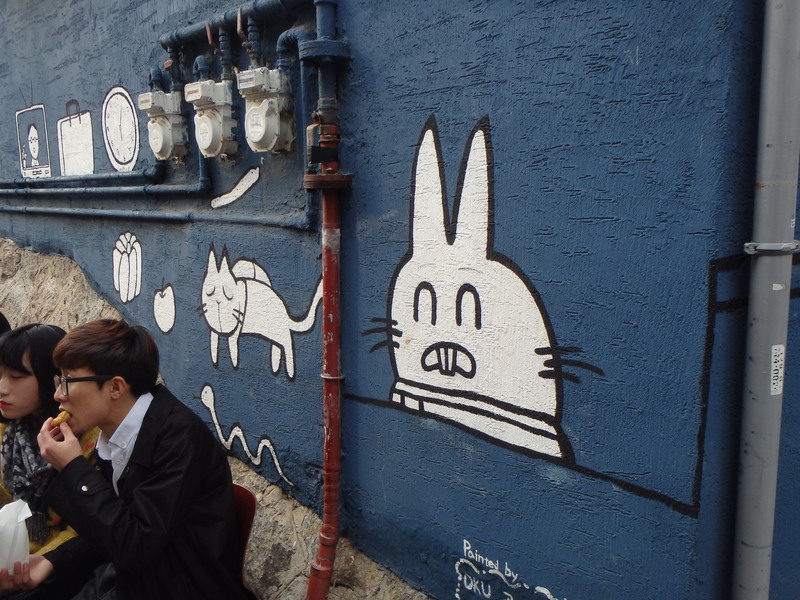 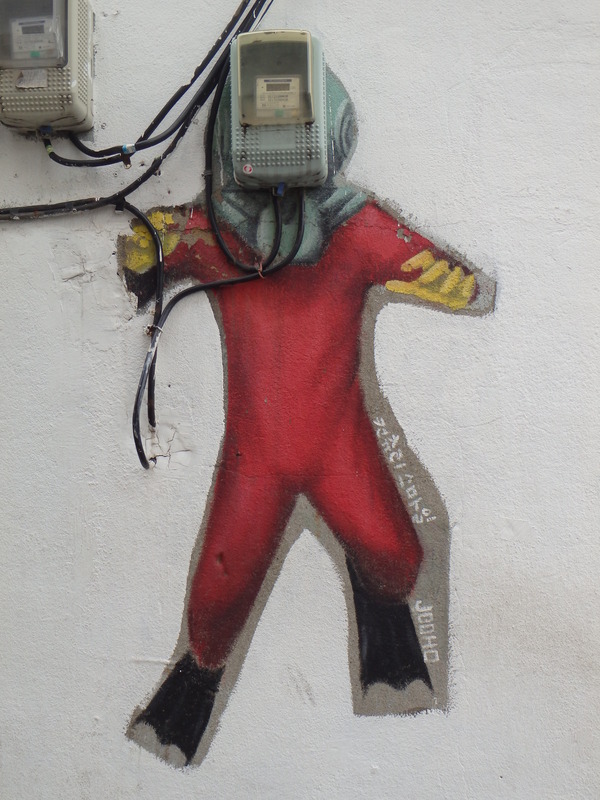 On Sunday we went to a different part of Seoul for a change and walked around the Ihwa Mural Village. 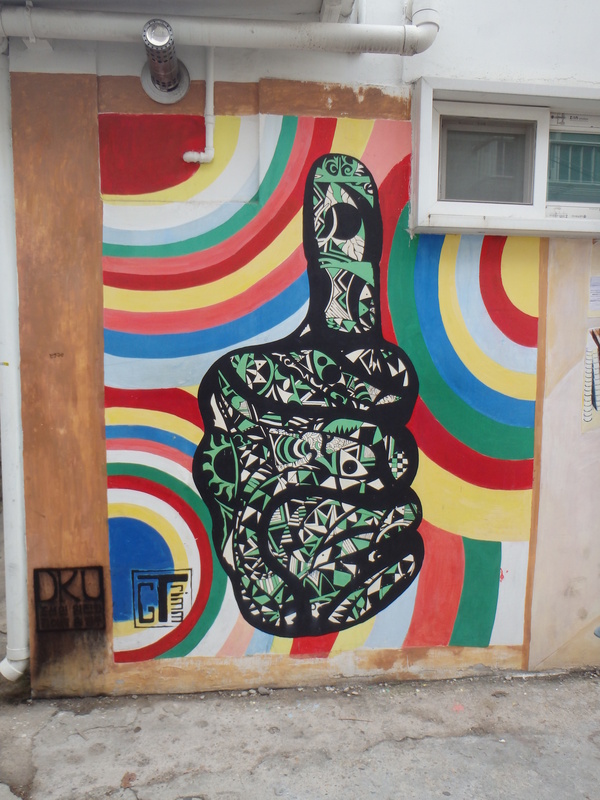 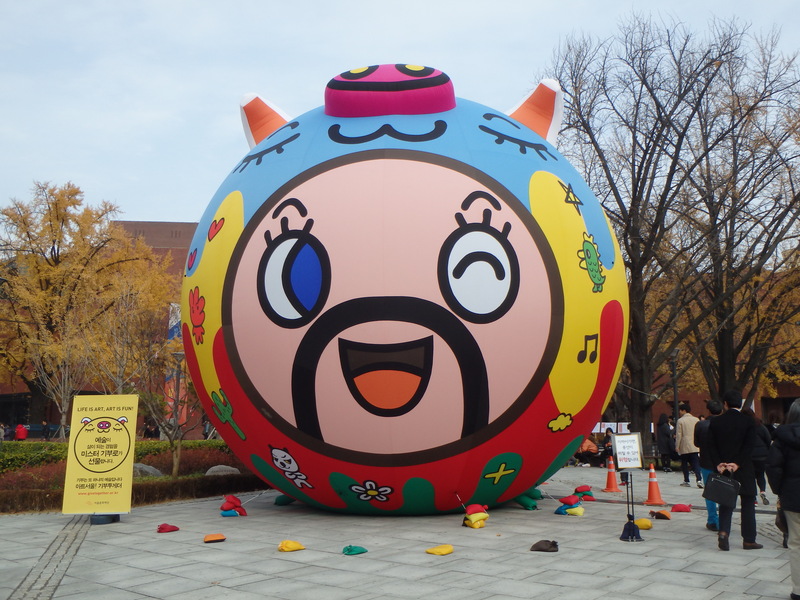 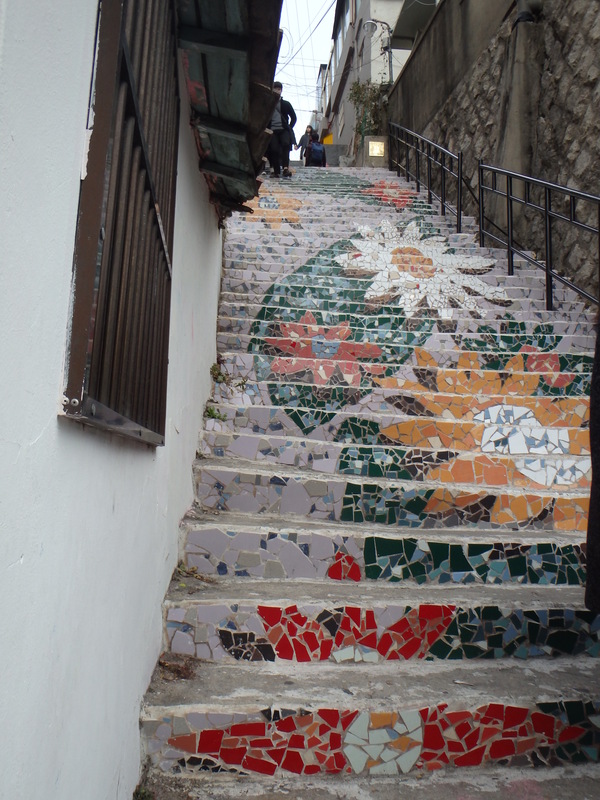 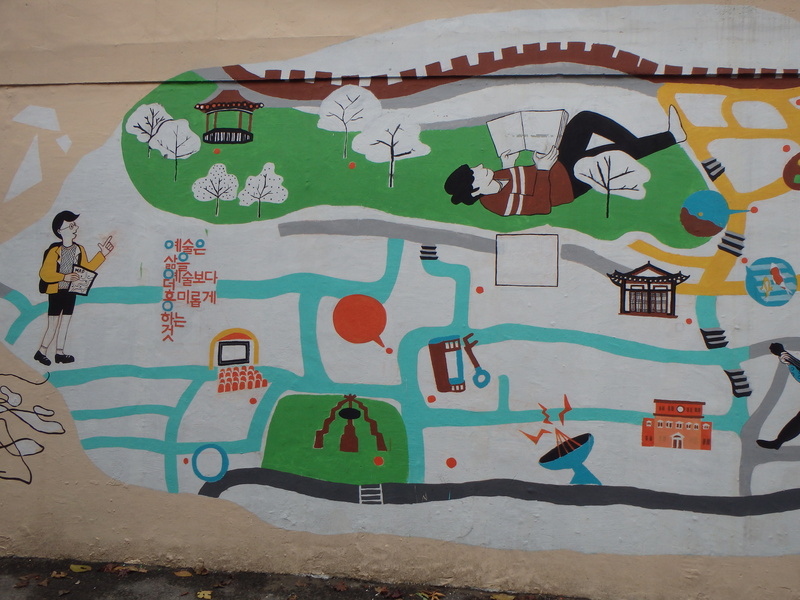 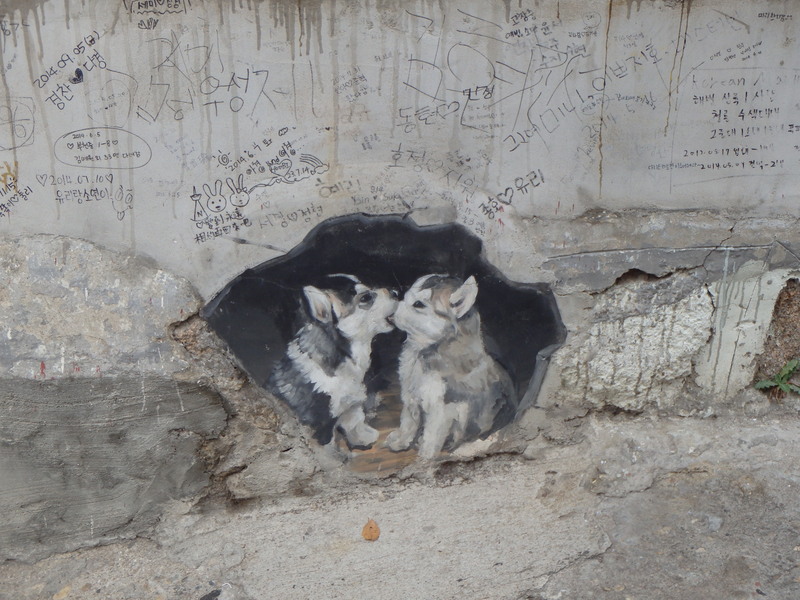 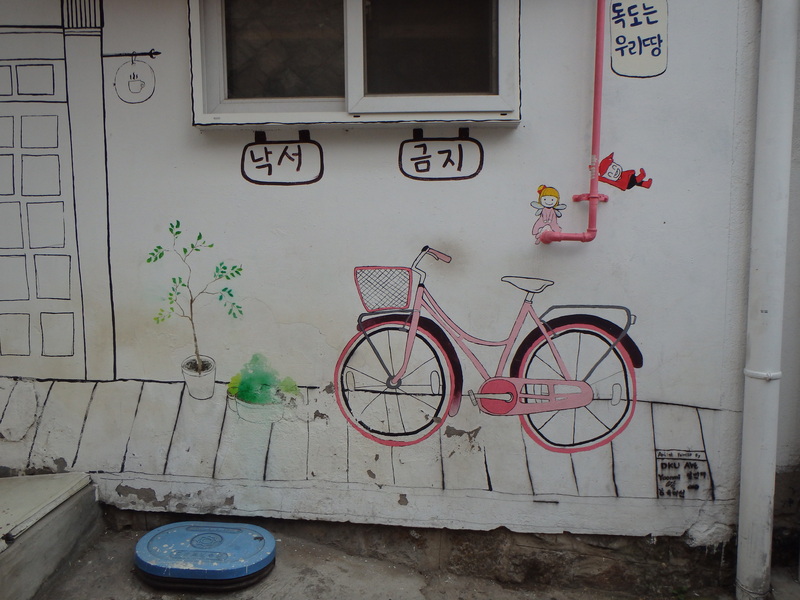 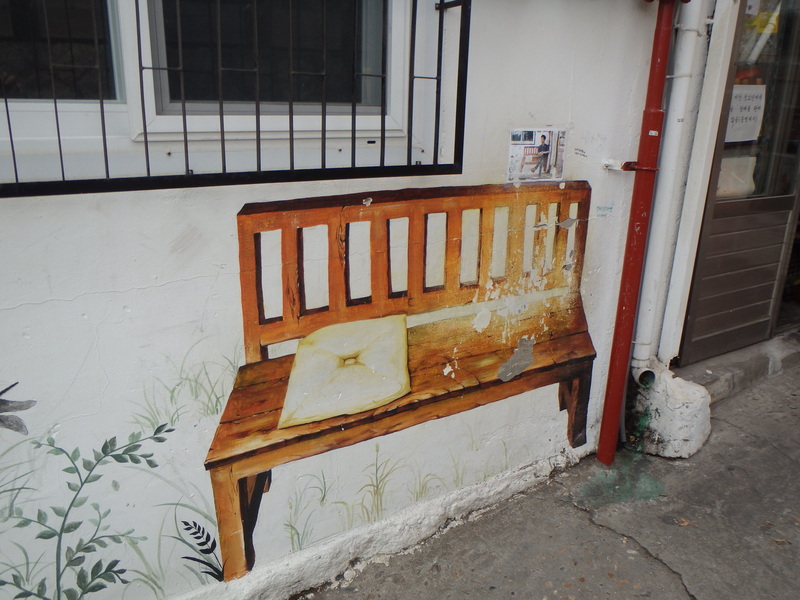 The mural village is in a small area on the side of Naksan. 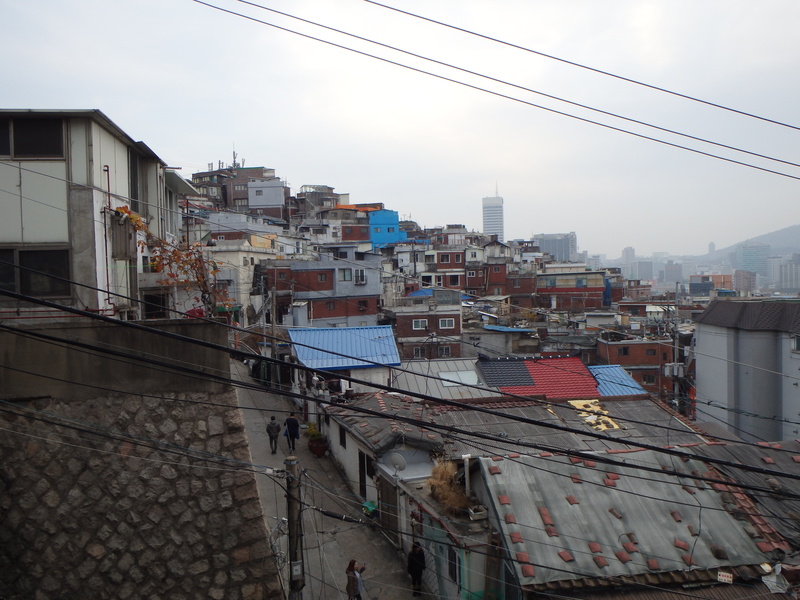 These mountain-side villages are called moon villages since being on the side of the mountain puts them closer to the moon. 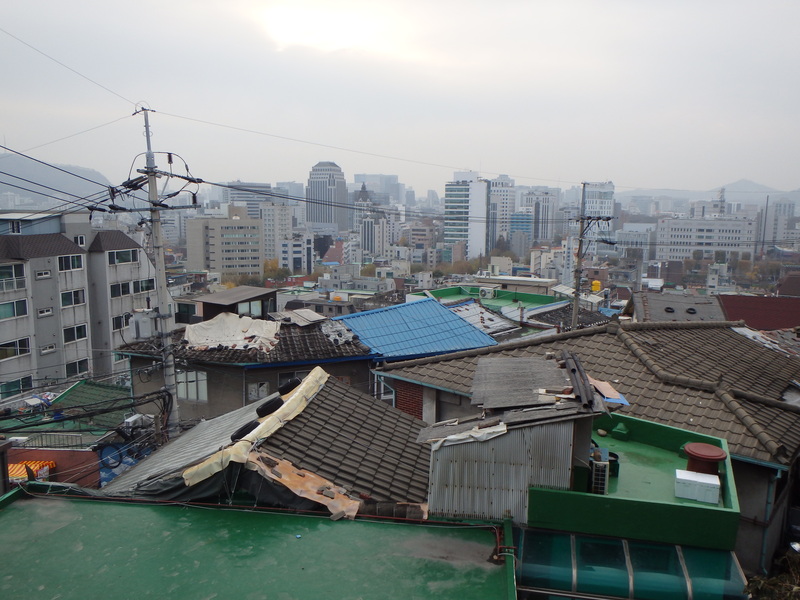 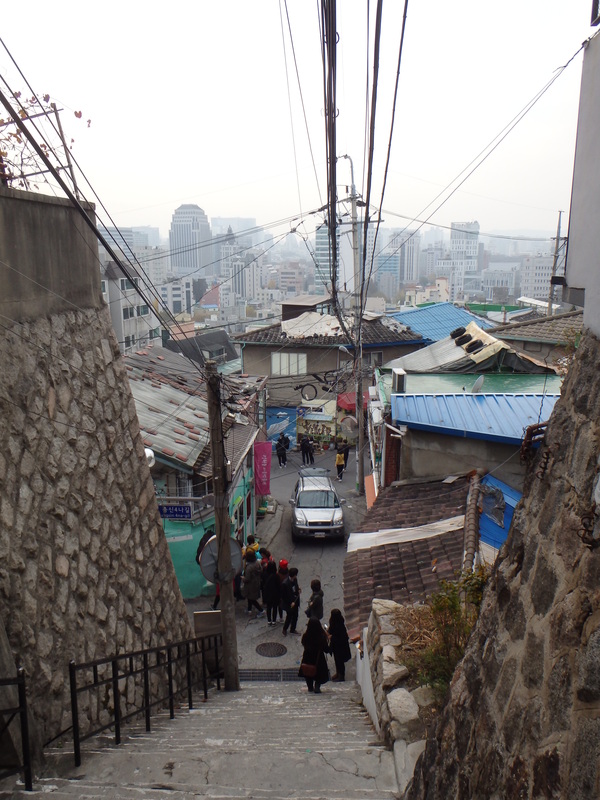 The area was very hilly and still untouched by the high rises that dominate the rest of Seoul. 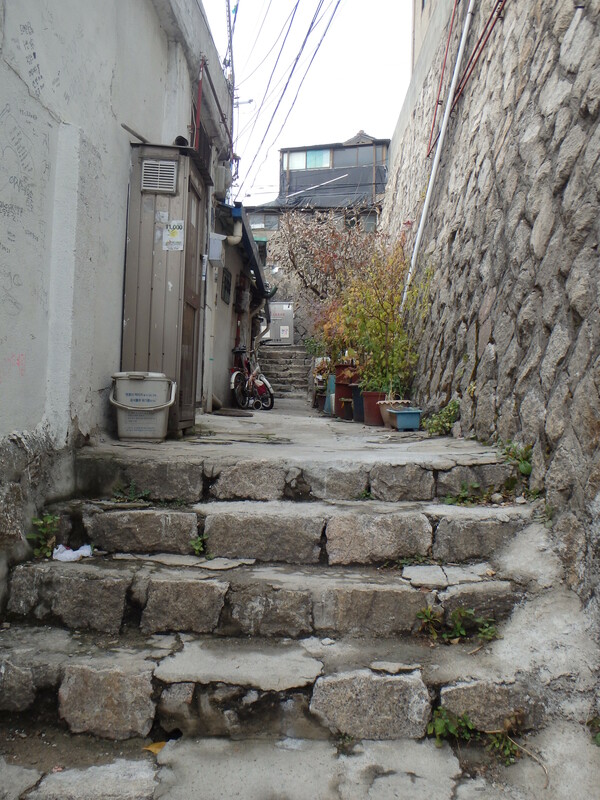 I wouldn’t say that the houses were charming but it was quite a difference from what we’re accustomed to seeing in Seoul and it gave us a glimpse of what the city must have looked like before its rapid modernization. 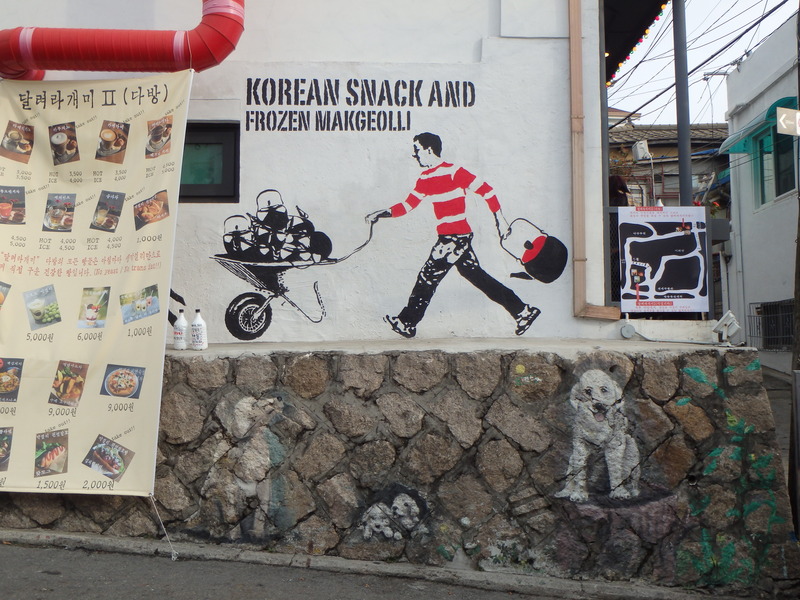 We made our way up to the mural village by following the signs. 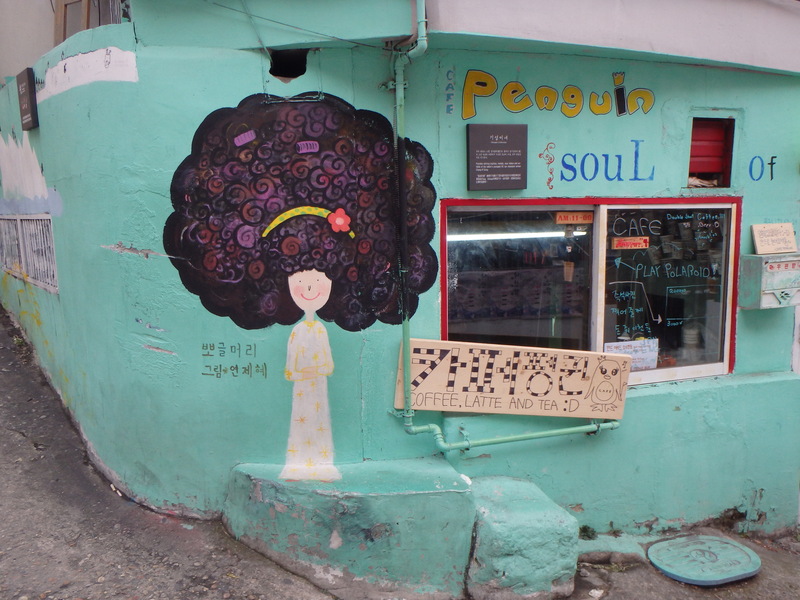 It’s a rather popular destination for Seoulites but quite off the beaten path for most tourists. 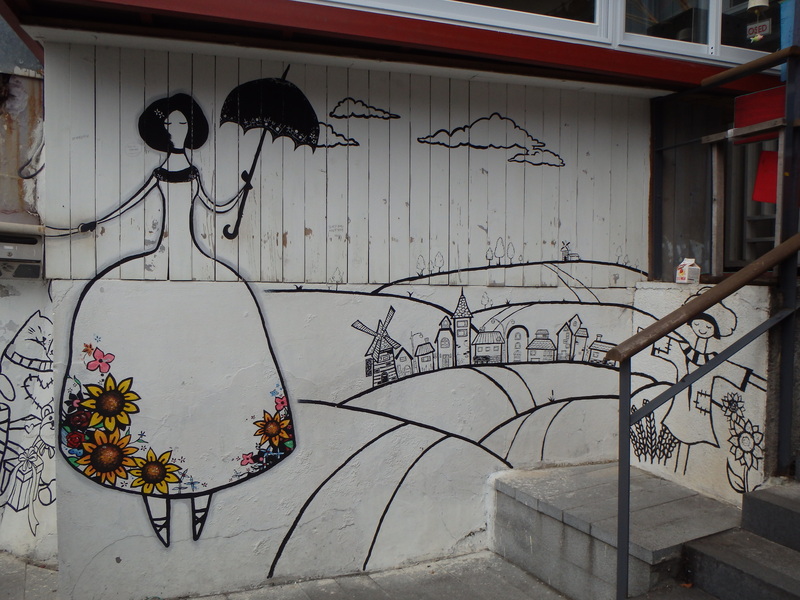 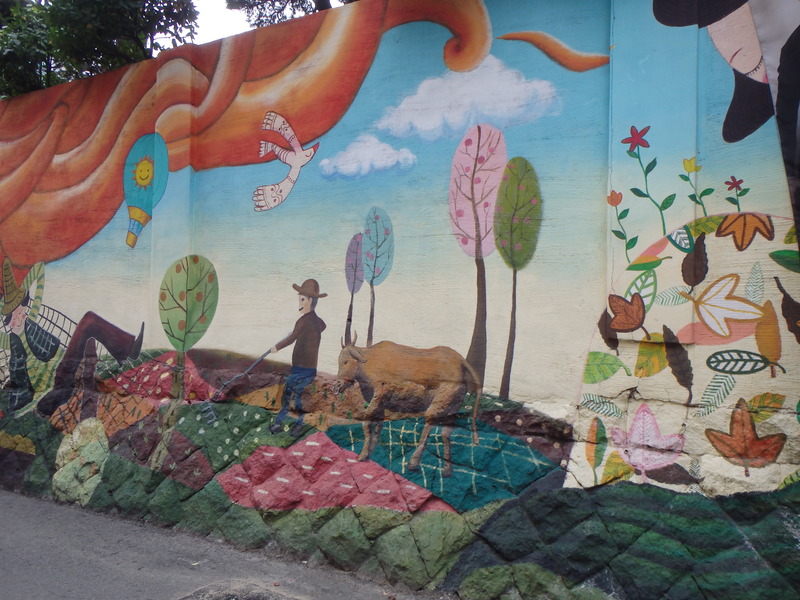 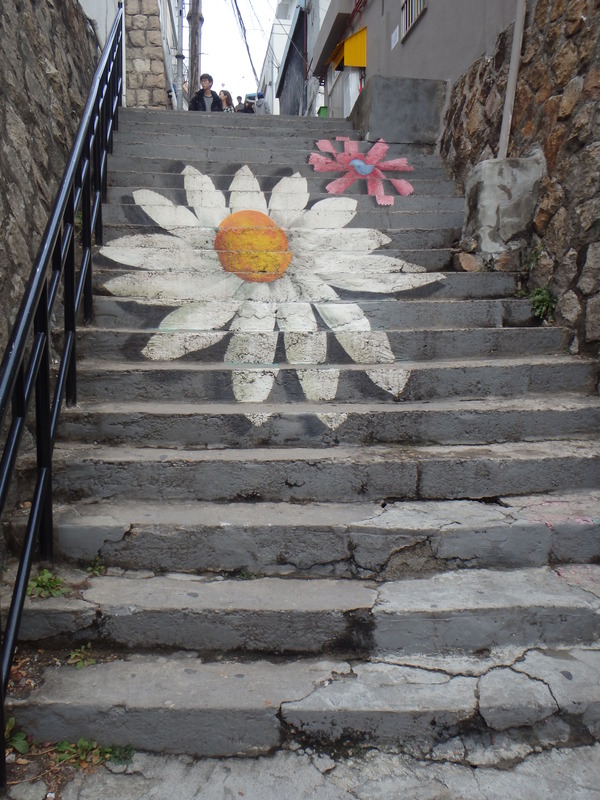 Although it is called a mural village, it’s more like an artsy area with lots of cute street art. 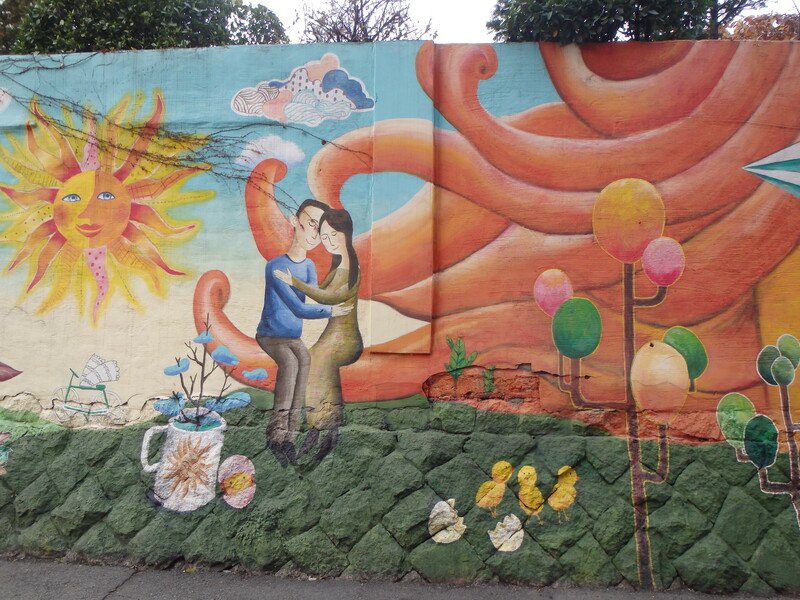 We did encounter one large wall mural at the beginning of our walk that I really liked. 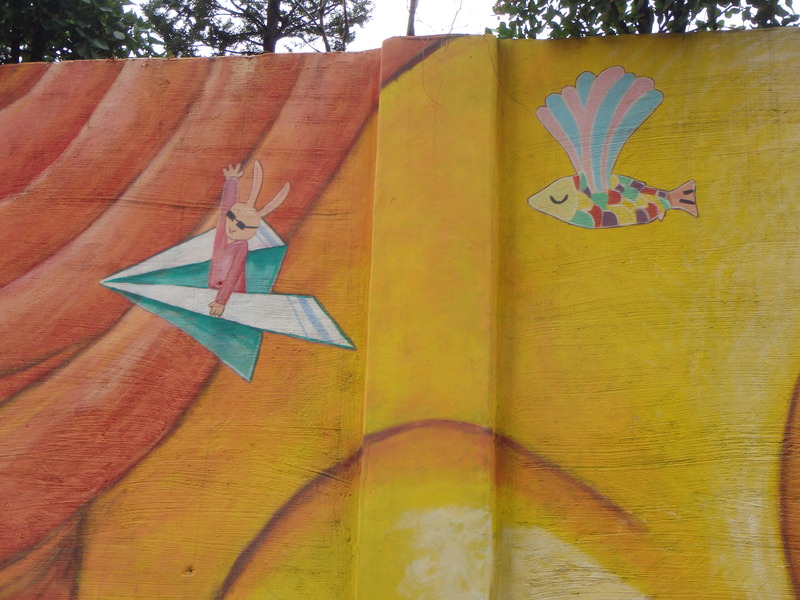 I especially liked the rabbit in the paper airplane – he looked cool. 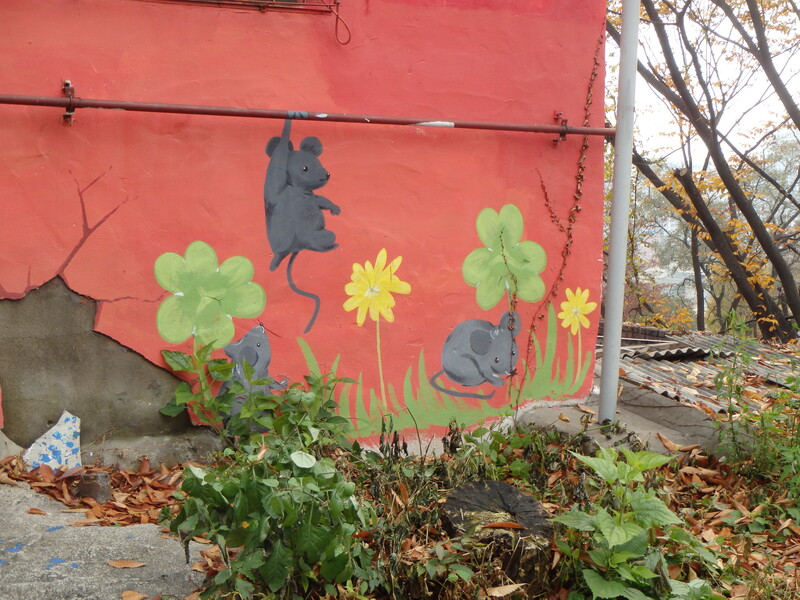 We wound our way up into the hilly sections of the village and wandered in and out of other people’s selfies. 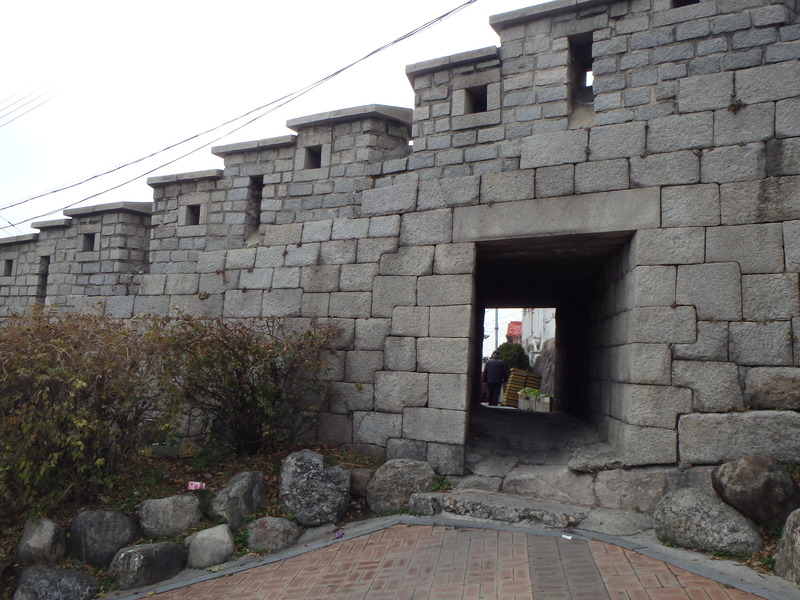 Once we got up to the crest of the hill we encountered part of the Seoul Fortress Wall leading up to Naksan. 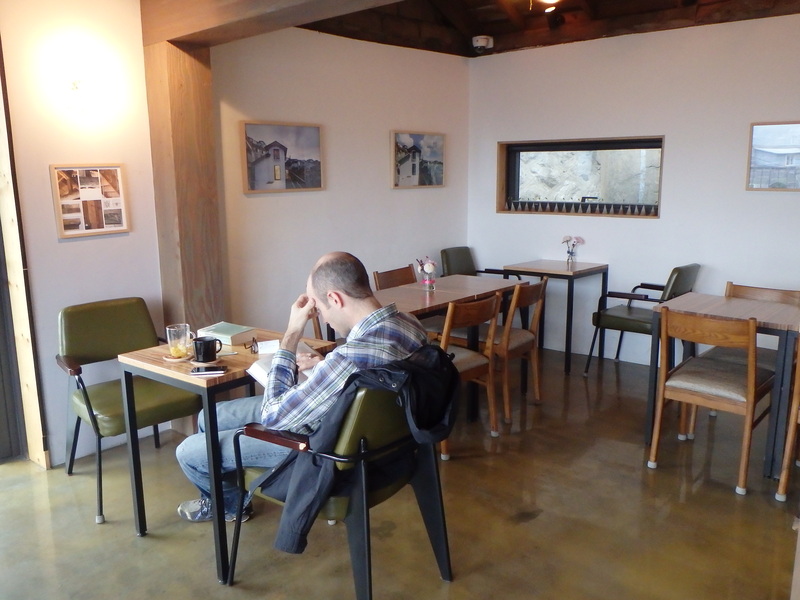 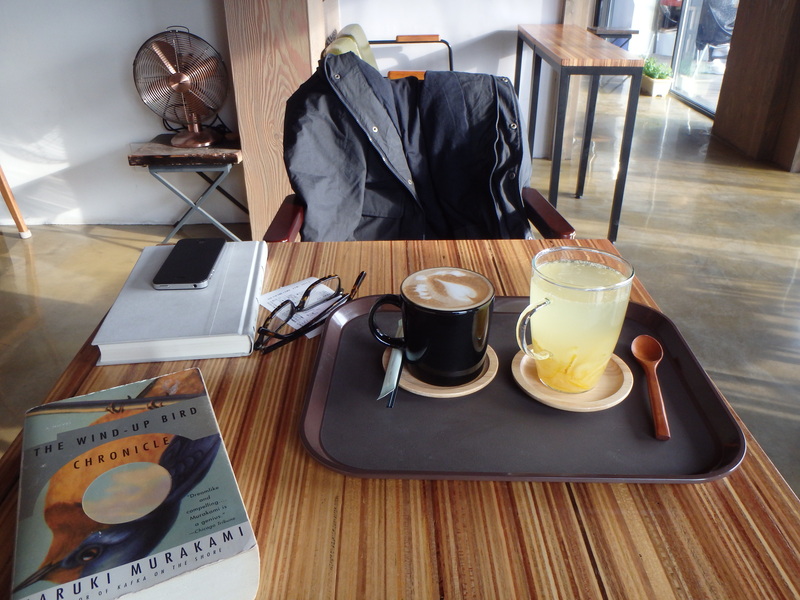 We made our way back down and stopped for a while a cute cafe – Cafe on the Hill.